• Break Free Of Boring Gym Routines! 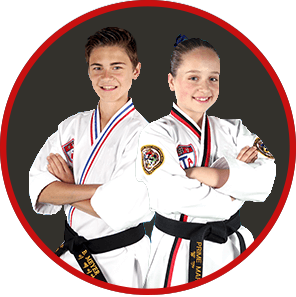 The Leadership Team is a three-year extension program by invitation, for juniors & teens who want to maximize their Taekwondo training and develop leadership skills that will serve them in all aspects of their lives. These students accept a higher level of responsibility as ambassadors of our school. Students in the Leadership program also have the option to compete for the titles of State, District, & World Champion under the American Taekwondo Association. 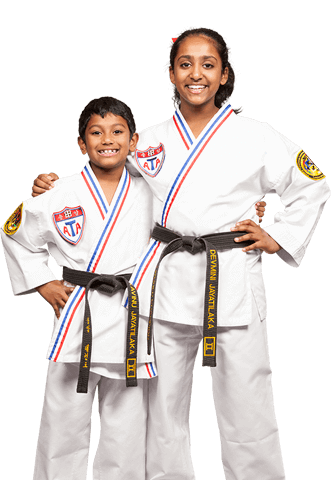 Once students in the Leadership program have earned their black belts, they have the ability to become Junior Instructors upon mastery of the necessary material. From Other Martial Arts Schools? 130,000 active members & over 1 million students trained since 1969. Each instructor has passed an intensive certification process based on 40 years of tradition, research & development. FACT: Most Adults Do Not Get Enough Exercise. DO NOT BECOME A STATISTIC. Join the ultimate full body & mental workout with Bismarck ATA Martial Arts. Don’t be the person who is stuck in their comfort zone with no way out. Without a workout routine that you're committed to, you'll see your metabolic speed and cardiovascular health decline. This is why it’s so important for adults to find ways to help themselves feel better every day! Developing the discipline to reach your goals benefits many different areas of your life. Meet like minded individuals on the same martial arts and self-improvement journey! AT Bismarck ATA Martial Arts, it is our mission to help you become a confident, focused individual with the life-transforming experience that is martial arts. I love Mr. Powell's energy and enthusiasm!!! If you are looking for a martial arts program in the Bismarck area, your search is over !!! Absolutely not. Although they will learn cool martial arts and self-defense moves, your child will learn how to AVOID fights, not pick them. What Age Groups Are Available for Adult Martial Arts? 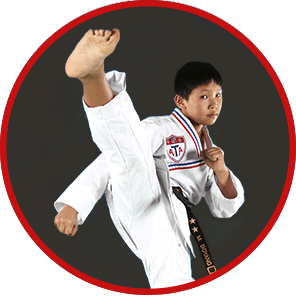 Our Teen & Adults Martial Arts program is for ages 14 & up. I Love All the Benefits Such as Confidence, Self-Esteem, and Focus … But Is It Fun? 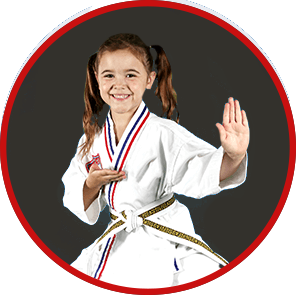 Our Martial Arts classes' primary goal is to make sure our students have fun in a enjoyable, safe environment. Come and see a class for yourself - we all have a blast and our instructors do too. Do I Need to Have Previous Experience or Any Particular Fitness Level to Enroll in Martial Arts Classes? No, our classes are a good mix of men and women of all fitness levels. Beginners train alongside some of the more experienced members, helping each other out in a enjoyable team environment.